Danvers: Terri Kenney looks for the perfect cut of meat at McKinnon's Market in Danvers. Photo by Mary Catherine Adams/Salem News. 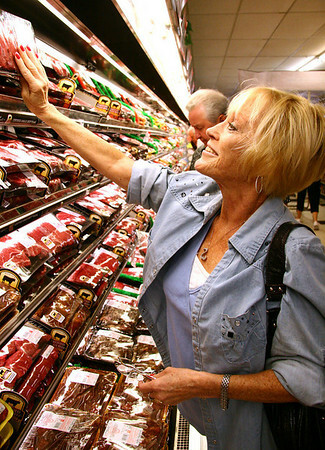 , Danvers: Terri Kenney looks for the perfect cut of meat at McKinnon's Market in Danvers. Photo by Mary Catherine Adams/Salem News.